While I was at my parent’s house for Thanksgiving, I decided to stay the night so I could more easily go to the famous Sun City Arts & Craft Show the next day. That night, I stayed up with my dad and we got to watch a compilation film done by silent film comedian Harold Lloyd in 1962, that featured all of his best work. I will admit that other than his most famous film Safety Last, and really only the clock tower scene, I hadn’t really watched anything of his. My husband is less appreciative of classic Hollywood movies than I am, so the only time I really get to watch good old movies is when I am with my parents, and more specifically with my dad. He really got me interested in Old Hollywood films circa 1890s-1950s, and it was because of him that I took some film history classes during my undergraduate career. 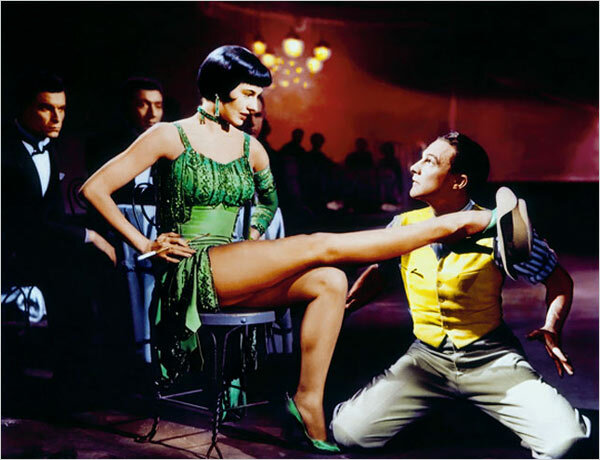 My parents are the reason I grew up watching film stars like Gene Kelley, Cyd Charisse, Fred Astaire, Howard Keel, Leslei Caron, Ann Miller, Frank Sinatra and Bob Fosse instead of more traditional 80s and 90s stars like Molly Ringwald, Matthew Broderick or Jennifer Grey. The last star at least I made up for in Graduate School the first time as my friends and I went through an obsessive Dirty Dancing faze. Anyways, I enjoyed watching the compilation movie Harold Lloyd’s World of Comedy, not only because it prompted an in-depth conversation, with my dad, about the three great silent film comedians: Charlie Chaplin, Buster Keaton and of course, Harold Lloyd. We talked about the differences in their style of comedy, but my dad didn’t know all that much about Lloyd’s background so I thought it might be fun to research it. Harold Clayton Lloyd was born in Burchard, Nebraska on April 20, 1893 and from an early age, had an interest to perform on stage. He enrolled in the School for Dramatic Arts in San Diego, CA. He originally snuck onto the Universal Pictures studio lot and met famous producer Hal Roach, who would later go on to produce Laurel & Hardy movies, who let Lloyd join his new production company. Lloyd starred in many “Lonesome Luke” films, where he played similar to Charlie Chaplin’s tramp. He knew this would not go far with early silent film audiences, so he completely changed his persona. He became the everyman with his trademark round horn-rimmed glasses, straw boater hat and messy suit. According to his official biography from Harold Lloyd Entertainment “Harold was the first film comedian to portray a character that looked and acted like someone sitting in the audience – an average guy, the boy-next-door. With this “glass” character as Harold called it, He could experience the humor in everyday life. And, as an average fellow, Harold’s boy-next-door could have a romance. It was the beginning of romantic comedy in films. As his new character grew more popular, the one-reel comedies became two-reels.” I should first explain a little bit about the terminology one-reel and two-reels. According to Encyclopedia Britannica, “In the early days of motion pictures, each reel ran about 10 minutes, and the length of a picture was indicated by the number of its reels.” Therefore it was possible for early film comedians like Chaplin, Keaton and Lloyd to literally makes hundreds of films during their extensive careers. By 1922, Lloyd had progressed from making two-reel films to five reels (modern full-length movies). In August 1919, Harold Lloyd was posing for a photographer with a cigarette, which he was lighting with what he thought was a prop bomb. Only it wasn’t a fake and it went off, temporarily blinding him and taking off his pointer finger and thumb of his right hand. The doctors believed his career was over, but he recovered and had a prosthetic hand made so he could continue working in film for a further 29 years and making a total of 200 films. 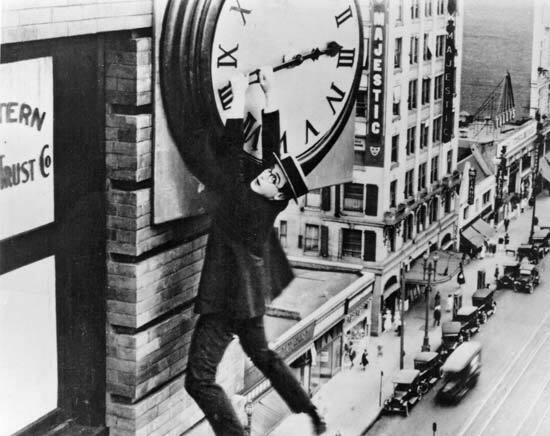 So it is pretty crazy to imagine him only holding on to the famous clock hand on the side of a building in Safety Last with his left hand and only three fingers on his right hand! Even more so because apparently despite all his crazy stunts involving tall buildings, he was afraid of heights. The reason he is a genius stems from his knowledge of his audience. He knew just how to be both funny and moving. According to the PBS American Master’s webpage, he also knew how much fear helped heighten comedy. “One day while on his way to the studio, he watched a man scaling the side of a building. Crowds had gathered around and were completely consumed by the sight of the climber. Lloyd knew that if he could keep an audience on the edge of their seats like this, he could make them laugh even harder. So, using the tricks of photographic perspective, he began to shoot scenes that looked as if they were happening on the sides of buildings, on scaffoldings, or hanging from clocks. These acrobatic hi-jinks seemed amazingly real in a time before special effects. More than simply renewing the audience’s interest in his work, these progressive techniques earned him the respect of others in the film industry.” My dad and I watched several snippets of his films, including Safety Last and Why Worry? that use these “thrill comedy” techniques. When Safety Last opened in 1923, it was immediately a huge success and he was nicknamed “The King of Daredevil Comedy”. According to his biography from Harold Lloyd Entertainment, “By the mid 1920’s, Harold had left Roach and was producing all the films in which he starred. Of all the silent film comedians, Harold Lloyd was the most profitable. His films out grossed the movies of Charlie Chaplin and Buster Keaton, and he made more films than both of them put together.” I find this film gross fact to be particularly fascinating as I would say most people nowadays have never heard of Lloyd, but have heard of Chaplin and may have heard of Keaton. The biography goes on to say that “In 1928, Variety proclaimed him the highest paid film star. When talking pictures came along, Lloyd was one of the first filmmakers to embrace the new medium. He was the fifth film star to immortalize his hand and footprints in the pavement outside Grauman’s Chinese Theatre in Hollywood, and he has two stars on the “Walk of Fame.” So go check him and his movies out! Today is Shakespeare Day in the UK, as it actually is the Bard’s birthday (or a close enough approximation as it the records weren’t that good back in the day, but they know he was baptized on April 26th, 1564). Coincidentally, he also died on April 23 in 1616. April 23 is also St. George’s Day, who is the patron saint of England. I have posted on the unofficial UK holiday in 2012 on this date with historical facts, and again in 2013 with some more factoids and some English poetry. I always liked to celebrate St. George’s Day as I am an Anglophile and my hubby is English. Back to Shakespeare, like most people, I had to study the Bard in high school and I took a class on him during my undergraduate career as well. In middle school, my favorite play was Much Ado About Nothing, mostly because I was obsessed with the Kenneth Branagh 1993 film version. As I discussed in a previous post about the play (linked above), I also really like the Joss Whedon movie version of the play. To this day, it is my favorite play and this is the one from which I can still quote lines. In high school, my favorite play was Hamlet, which we did read in class. Mostly this was because of my loving Kenneth Branagh’s 1996 film version (what can I say, the man is a good actor and director). I’ve written about more of my favorite Shakespearean film versions in this post. I know a lot of people like to poo-poo studying him because of the language barrier (Elizabethan English can be quite confusing). I guess I never had that issue because although it does sometime take some interpretation, it is worth it because the man is a genius at word play, insults and fantastic memorable monologues, plus its just good writing. If you can, try to see the plays performed. When I was growing up, we used to go to the Alabama Shakespeare Festival to see plays and musicals, and this is where I got to see Hamlet performed on-stage. If you want to get into character for the day, so to speak, check out this link on how to talk Shakespearean. Here are some really cool ways that people are using Shakespeare in our modern world, like helping autistic children communicate and socialize better, and the Sonnet Project, which is about getting all 154 Sonnets read by actors in various locations throughout NYC to make Shakespeare more modern and accessible. This website has a great list of resources and ideas for educators who want to teach Shakespeare. If you would like to read any or all of Shakespeare’s plays, check out the Digital Text Library from the Folger Shakespeare Library in Washington DC. On to the poetry. 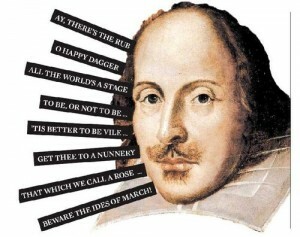 Naturally because it is Shakespeare Day, I have selected two sonnets of his. Everyone knows Sonnet 18, so I won’t use that one (although it is one of my favorites). I noticed that a lot of the sonnets dealt with marrying and having children, something I never picked up on before (though truthfully I’ve never really study them all that closely). 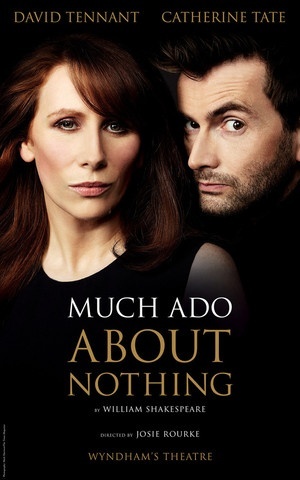 I picked Sonnet XIV (which is amazingly read by David Tennant on the Spoken Word CD From Shakespeare – with love and I had not heard or read it before listening to him read it) and Sonnet CXVI, because I enjoy it. 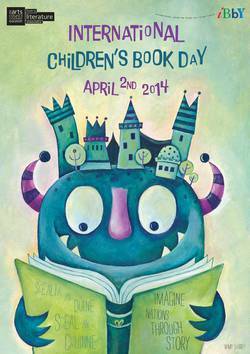 Since 1967, International Children’s Book Day has been held on or around this date to celebrate children’s books. In addition, it is to celebrate children’s fairytale writer Hans Christian Anderson’s birthday, which is on the 2nd. It was created by the International Board on Books for Young People (IBBY for short). The organization includes seventy nations around the world, including the US. According to the website, “IBBY is committed to the principles of the International Convention on the Rights of the Child, ratified by the United Nations in 1990. One of its main proclamations is the right of the child to a general education and to direct access to information. Thanks to IBBY’s insistence, the resolution includes an appeal to all nations to promote the production and distribution of children’s books.” Every year they pick a group of books twice a year which, according to this webpage, “outstanding, recently published books, honouring writers, illustrators and translators from IBBY member countries. The IBBY Honour List is one of the most widespread and effective ways of furthering IBBY’s objective of encouraging international understanding through children’s literature.” I was excited to see John Green’s amazing YA book The Fault in Our Stars had a place on the list as well as Pamela Zagarenski’s children’s picture book Sleep Like a Tiger. April is National Poetry Month in the US and I’d like to try to post a new poem every day or every couple of days, preferably one I have never heard of before. I had a lot of fun with this last year, and decided I wanted to continue the tradition this year. In honor of International Children’s Book Day, I picked two poems by children’s authors about books and reading, for yesterday and today. Did you think I would just pass by you And pick me a comic instead? No way book! I’m your reader I open you up. Set you free. Listen, I know a secret! Will you share your secrets with me? 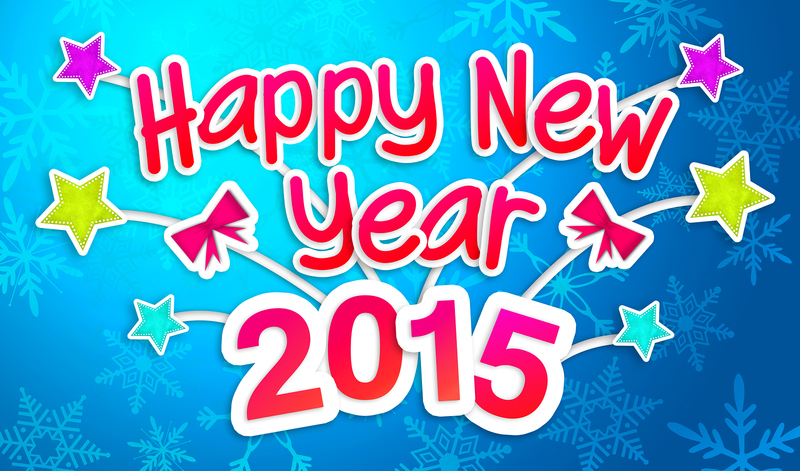 I hope everyone had a fabulous Holiday Season and I wish you a Happy New Years! Things have been pretty crazy the past couple of weeks at my house as my grandfather was visiting my parents for Christmas, so my hubby, my son and I were spending a lot of time driving back and forth to their house to visit. I’ve not seen him since last September (the last time he visited), so I was glad to do more than talk on the phone with him. He lives in Alabama and we don’t have any time off to come visit, but I want my son to know his great-grandfather, especially as he never got the opportunity to meet my grandmother. Liam said his first “I love you” to my grandfather as we were driving home the last time we saw him, the day after Christmas. It was so cute! Too bad my grandfather didn’t get to hear it. We had a very low-key New Year’s Eve, in fact I’m a little surprised we managed to stay up till midnight as my hubby was feeling poorly that night. When I was pregnant with my son a few years ago, we only stayed up till 10pm before falling asleep. I have been enjoying my biggest Christmas gift, a new Kindle Fire HD, which is way lighter and faster than my 2nd generation Kindle (which died on me back in Oct). I am voraciously reading the third book in the Game of Thrones series, A Storm of Swords. I have found that I tend to read a little bit faster on the Kindle than a real copy, not sure why. This book is even longer than the second one, and is completely different from the 3rd season of the show (though there are some similar parts as well). I definitely some things I would like to change/improve over the next year, which I guess you can call my resolutions. For one, I’ve decided to try eat healthier, i.e. eating at least one and hopefully two vegetarian meals a day, with emphasis on more whole grains and way less sugar. I’m sorry, but I can’t give up my iced slightly-sweet tea (guess that’s the Southerner in me), but will try some unsweetened hot teas to balance it out. I want to blog more and maybe even write some more poetry. I would like to read more, though that’s more of a long-term goal. I did pretty good last year with 308 books, though in 2012, I read the most in a long time (424). Below is a graph of my books read in 2013. It got a bit cut off, but the mythology section is “mythology and folk-tales” and the one across from it is fantasy and sci-fi. The “other” section is pretty much adult-age books and cookbooks, and the bottom left section is “birth-to-5-years”. I need to get better about actually having some me-time, which would fit in with the more-reading goal as it is usually what I don’t have time for. This would probably also lessen my stress-levels, another thing I’ve been meaning to work on this year. I don’t deal with stress very well, despite my best efforts otherwise. I know part of that me-time I need to spend exercising. I’ve never been very good or put much of an effort into it, but as part of the healthier eating ticket, I’ve noticed my body not working the way it should and part of that is because of my lack of exercise. So I plan on using my walking shoes for their intended purpose. I will probably have to start doing it after work, as I have absolutely no desire to get up at 5:30am to start walking, plus if I take our dog, it will be less annoying to get barked at after work versus before most people are actually up.